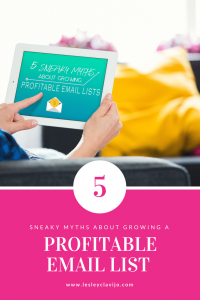 Helping bloggers, influencers, and entrepreneurs grow profitable email lists. One of the biggest challenges of being an entrepreneur is that you literally are your own boss. Which means that you are responsible for creating your business plan, setting hours, organizing your workspace, motivating yourself and executing everything that needs to be done for your business. I don’t know about you but some days I wish I had a boss so she could just tell me what to do and relinquish all that pressure. Here’s the thing, you have the ability to be your own boss and succeed in business but you have to make sure you are not sabotaging your own success. The way to do this is to figure out where your roadblocks are and fix them. Let’s take a look at 10 ways you could be sabotaging your success as a business owner and how to fix them. Let’s be really clear about this from the start. Every single one of us has the same number of hours in the day. There’s no way you “find” the time to invest in your business. The bottom line is that you have to “make” time. How do you make time for your business? It’s actually fairly simple, you have to schedule set hours in your day dedicated only to working on your business. The amount of time and the exact times you work will vary depending on your schedule. For me, I work part-time 4 hours a day at home. I block out 4 hours a day for that job. Then the hours for my business are blocked out in the early morning and at night. Your schedule will look different but the point is, you have to make the time even if it means in the early morning or late at night. Will I end up in prison if I don’t get this thing done? If yes, I make sure I get that form completed or bill paid. Will it make me money? If yes, I hop right to it and fill that order or create that product. Will it help me connect with my customers and provide better service? If yes, I get it done. Will it help me reach my goal faster? If yes, I’m definitely completing that task. If I was a betting lady, I’d bet that you have about 35 things on a running to-do list? Am I close? There are always a million things that need to be done when you are running a business. When you are the book-keeper, the marketing director, the order filler, processor, shippers, the writer… ok I’m stopping there, but you get the point. There’s always a lot to do, I think we can agree. One way to sabotage your success is to put too many things on your daily to-do list. Instead, I want you to try creating one big master list. I use Trello, a digital web-based program to organize my master list. I’ve created multiple boards which have lists within each one. For instance, I have an entire list of blog post to be written on my blog post board. I also have a master to-do list within that board I prioritize the tasks that need to be done first. I only add about 2 tasks to my actual written to-do list every day. I’ve learned that most of my tasks tend to take several hours to complete and I don’t want to disappoint myself if I can’t achieve them. This may sound trite but it really is a deal breaker. You must… I repeat.. you must have a dedicated space for to work on your business. One of the reasons why it can be so hard to stay focused as an entrepreneur who works from home is that there are always these other things to do. The dishes need to be done, the house needs to be vacuumed, the kids toys are all over the place. You hear that voice nagging you to get up pick up the toys and oh by the way while you’re at it why not sort them by color and finally get them organized. Did you ever notice that in any other business environment you’ve worked in before you are slightly less distracted? I rarely went into my classroom and said: “hey you know what, I’m going clean the cabinets today.” Why because that was something I could do later when the kids were there I had to focus on them. It’s the same with your business when it’s time to work your schedule you need to be in a space with as little distractions and work on your business. Having a dedicated space also helps set visible boundaries for you and your family. When you are working in your space, it’s easier for little ones to understand that it’s not play-time. It’s also good for you to be able to close the door and shut off work mode. Each of these examples includes a non-attention needing task (meaning it’s pretty automated) and an attention needing task. Go ahead paint your toenails and while they are drying type up a blog post. Mastering multitasking in a productive way will help prevent self-sabotage! If you are waiting to have everything perfect in your business before you start, I’m sorry to break the news to you but you will never succeed. It’s literally impossible to have everything perfect before you start your business. Not only is it unrealistic to think you can have everything perfect but it’s a really, really bad idea. The best way to perfect your business is to put it out there and get it in motion. Getting feedback, interacting with customers and readers will guide your choices and will help to perfect your business over the long term. Hiding your business will do nothing but damage it. I’ve seen it all too many times, in fact, I’ve experienced this myself. You get in a stride, you are conquering that to-do list, you are in your element and then something creeps in and plants that seed of doubt. 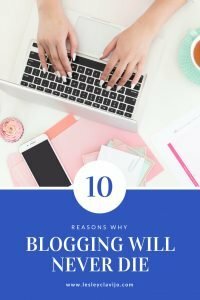 Maybe you saw another product very similar to yours, or you saw a blog writing all the posts that you had planned to write and every ounce of motivation you had has just been sucked away. There are millions of people on the internet. I will guarantee you that there will be someone else out there doing the same thing you are doing. However, you have to remember that there is only one you, there is only one person in this world that has had your experiences. You are going to connect to others that may not connect with those doing the same thing as you. Hold your head up, put yourself out there. As Dr.Seus says “There is no one alive more youer than you!” Tell yourself this, in times of doubt! You can make all the goals you want but until you put them out there to the world the likelihood of success is slim. You don’t have to disclose everything but you should definitely give hints that you are working on something big. This really gives you the push to get that goal completed. You will also be surprised out how others curiosity and support will become your motivation. I can’t tell you enough times how essential it is to your success to have a support system in place. It’s really important to have support at home from your family but there are going to be times that they do not completely understand the struggles you are experiencing as an entrepreneur. I highly encourage you to join groups like the POP Preneurs to connect with like-minded entrepreneurs. For 5 years I ran two businesses with no business plan, neither of those businesses scaled the way I wanted them to. I know it may seem unimportant or something super “official” and unnecessary but I promise you it’s not. In fact, I think that the lack of planning was the missing element in both of my other business pitfalls. Many people get really intimidated when it comes to filling out a business plan, but when you have a good one that breaks down what each section should contain it’s far easier. A business plan not only defines where you want your business to be in the future, but who you ideal client is, who your competitors are, what your business is all about and why you are so passionate about your business. Your business plan will be your guide and your motivation when times get tough. I’ve created the perfect business plan for you and challenge you to get started on your plan today! Once you complete it send me an email and tell me which section created an “ah-ha” moment for you! I don’t want you to walk away from this article thinking, “man what a bummer I’m totally sabotaging my success, I’m a failure.” No, don’t do that. I’m a firm believer that we are in complete control of changing our behaviors and bad habits. I’ve personally seen people beat far more challenge behaviors like addiction and abusive behaviors, so I know you can use these tips to combat any behaviors that are prohibiting your success. I’m guilty of not making time for my business, what sabotaging behavior do you feel like your guilty of the most? Was this post helpful? Feel free to share! Hi, I’m Lesley! A formally tech-challenged turned tech expert, solution-driven, creative entrepreneur, dedicated to helping you launch your dream business online! All great launches start with a solid foundation. Ready to build yours? Great, let's get started with a plan! Let’s see. I sorta have a dedicated work space but Hubby also uses it to watch the morning news which is when I write the best. From about noon on I’ve got the space to myself but because the TN was on when I wanted to write, I started on the emails and am now completely distracted plowing through them. As far as the rest of the items you listed guess I have to work on all of them. I guess I just do whatever I feel like doing or feel like what absolutely needs to get done – like sending out a weekly newsletter on a consistent day and posting a blog once a week plus try to get the second post up somewhere during the week. That;s also when I pop over to Canva for graphics for the blog and do up a banner with the post for Twitter and my Facebook page. Everything is rather hit or miss and it shows up by the lack of subscribers. I have to sit down and do some planning and I know it but I don’t seem to get to that either. I did get the planner printed out and into a binder ready to use and have filled in a few of the pages but then ended up doing a post on something entirely different. Thanks for another kick to get more organized. You are so welcome Nana! I’m glad to hear you have a dedicated space even if you have to share it sometimes. Planning has been the biggest key to growth for my business. I encourage you to plan and to stick to it as much as possible. Things will always come up that take priority but if they do, take care of them and then realign with your to-do list! Thank you for this post. I’m guilty of not knowing where my business is going on paper. I have ideas in my head, but not a mapped out plan. Thank you for the business planner. It is so complete and awesome. Pamela, I am so glad this helped! Enjoy your planner!